Hanako’s Recipe: Potato Salad with Sake Kasu – SakeTips! *In the original article, Hana recommend microwaving but this version doesn’t show that way because wattage is different between Japan and other countries. ２．Cut bacon into small rectangles, and frizzle them in a frying pan. ３．Heat sake kasu a few seconds in the microwave and mix with [A] ingredients. ４．Mash (1) with a masher or a fork, and mix with (2) and (3). 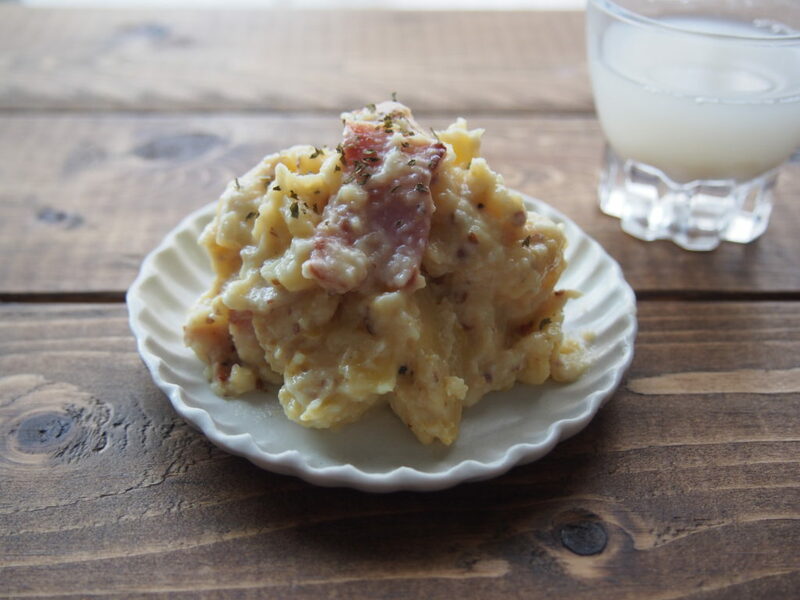 Potato salad can be richer like cream cheese when you put sake kasu into it. Also, you can moderate amount of salt because this includes bacon. On the other hand, potatoes can be too soft because the yeast in sake kasu decomposes potatoes’ starch after a while. If it changes into a paste next day, you can make gratin baking with cheese. 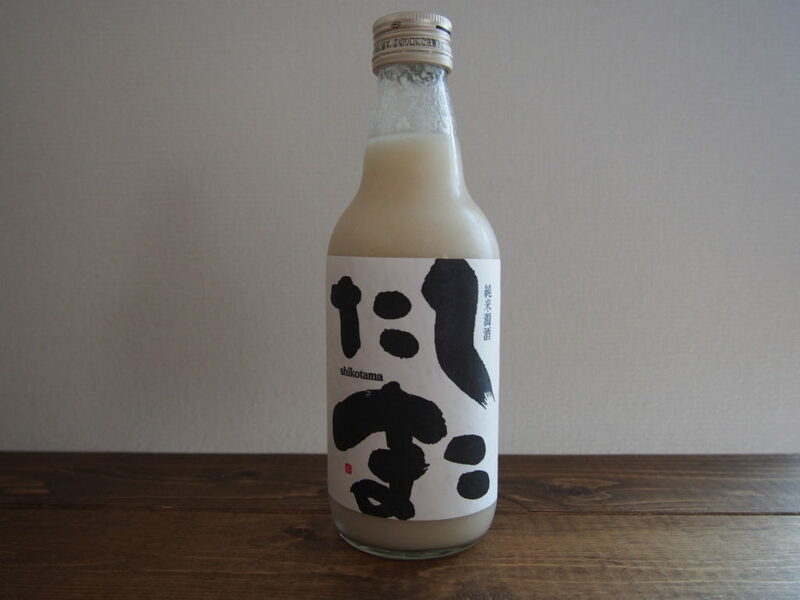 This is unrefined sake with superb sweetness by koji (malted rice). It goes well with creamy meals.